Flat Roman Shades. Design by Lilli Design. As a veteran design consultant, I’ve had the privilege of working with a number of families as they’ve welcomed children into their home. I’m no stranger to the conundrums of how to treat the windows of a child’s room; one who is going to grow and change, in leaps and bounds, over a very short period of time. Careful consideration does need to be paid to a number of variables. Here’s how to simplify the selection of nursery treatments. More often than not, many people say they want something appropriate for their approaching bundle of joy that is able to grow up and evolve with them. Having a flexible design in your window treatment doesn’t mean you need to sacrifice visual interest, but it does typically mean you want to keep the color, or pattern, a bit more neutral. For a treatment that’s striking, as well as versatile, you can consider: a border option, which is offered on our Roman Shades and Draperies, an eye-catching texture, such as Woven Wood Shades, or perhaps a tone on tone, subtle print – just to name a few options. Flat Roman Shade. Photo from SISSY+MARLEY. 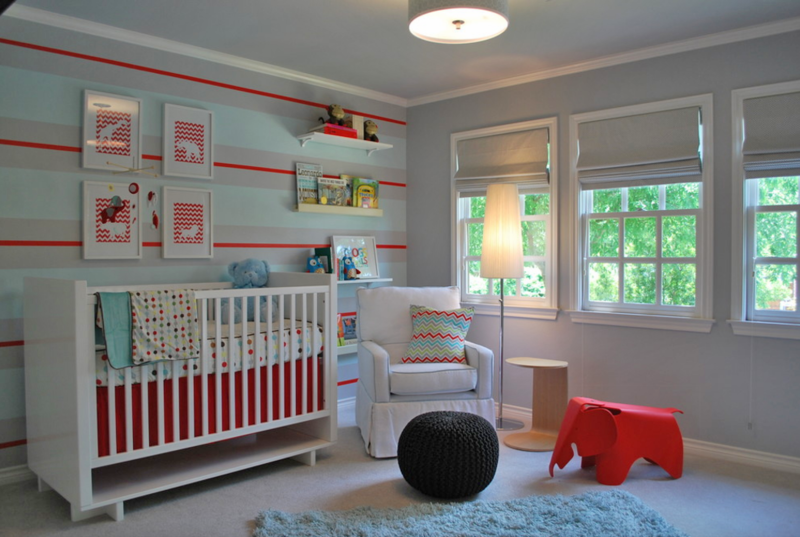 If you plan eventually re-doing the room when your child is older, then you can choose brighter and bolder colors or prints. The Shade Store is your oyster and there are so many pearls to find within our offerings! In this instance, my recommendation is to start somewhere in the room to select a color palette, like a bedding set you adore or a fun piece of artwork. It’s every parent’s very first challenge to encourage their baby to sleep. Some parents choose to do this by darkening the baby’s nursery to emulate the darkness they’re accustomed to. We offer blackout options in almost every window treatment style: Roller Shades, Roman Shades, Woven Woods, Drapes, and more. From a Design Consultant’s point of view, some treatments can be slightly more effective at blacking out than others, based on how the particular treatment hugs the window. The measure of darkness necessary for you and your family is relative, so be as specific as you can about your needs. In my experience, some families are looking to “mostly dim” the room, while others need “absolute, cave darkness.” Be sure to have a clear and concise conversation with your Design Consultant about it. Flat Roman Shades. Design by Natalie Myers. Child safety is paramount to us at The Shade Store. All of our shades that have cords come with cord cleats to tie them up, out of harm’s reach; our continuously looping chain mechanisms come with tension devices that get drilled into the wall or window frame, making slack creation impossible. We also offer our cordless mechanisms, which are certified “Best For Kids.” Cordless mechanisms are offered on our: roller shades, roman shades, woven wood shade, pleated and cellular shades. 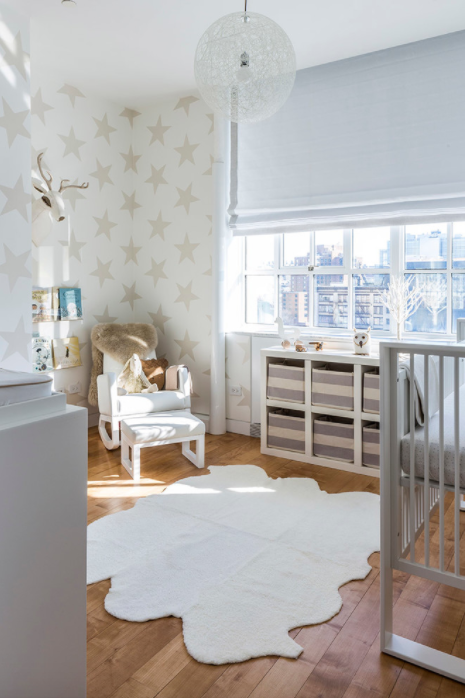 “Best For Kids” is a third party certification program designed to help consumers and retailers identify window covering products that are best suited for use in homes with young children, as introduced by the Window Covering Manufacturers Association. Still not sure what to do in your nursery? We have created a new collection of our Blackout Roller Shades, Drapery, and Roman Shades specifically for your kid-centric spaces. Our new Kids Collection includes youthful, fun, and colorful designs, as well as some of our most versatile materials. 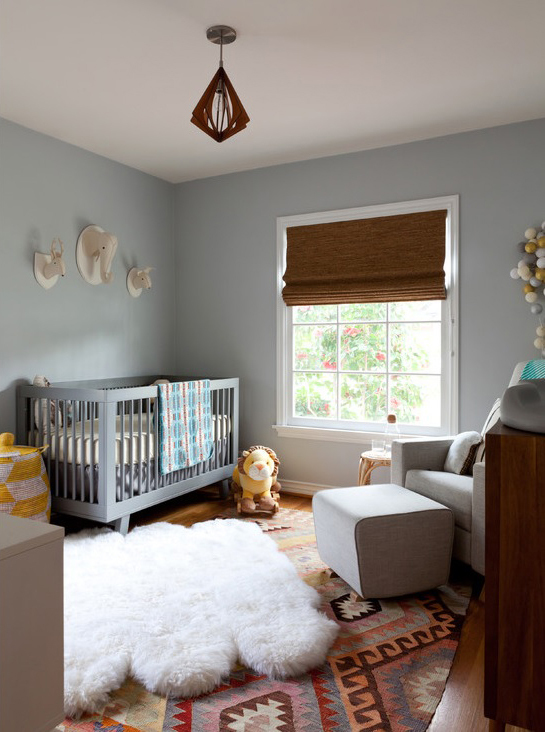 Designing your child’s nursery has never been easier! Shop the collection here. Give us a call, or stop into one of our showrooms and speak with one of our Design Consultants. Our advice, our window safety expertise, our swatches, our photo renderings, our remote or in-showroom design consultations – they’re all free! Let us know what you’re after, and we’ll take care of the rest.